Is Your Klout Score Better Than Mine? Employers are looking at the internet before they hire you and how they judge you by what is on the internet. I have heard this from classes, my job, and my parents for years but two weeks ago I learned people are rating you based on your Klout score. Mark Schaefer came into my social media class and talked to us about Klout Scores and answered our questions about the new website. A Klout score takes your influence on the Internet and gives it a number so you can compare yourself to other people. 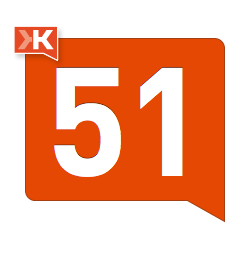 Two weeks ago I had a Klout score of a 32 and now, I have a Klout score of 51……I don’t know how I increased it by 20 points in a week but I did. Over the past few weeks I have been trying to increase my twitter outreach and get involved on social media sites more. This might be the reason behind the rise in my score but I am not sure why my score increase so quickly. I have also been focusing on one industry that I find fascinating and following leaders in the field and blogging about it. I would think Klout would notice this trend, but when I log on it says I am an influencer over the TV show House, Virginia (my name), and shoes. I do not tweet about any of these subjects in the sense they think I do. The website shows your network impact, amplification, and true reach over the past month in a graph. All of my charts look the same; they are very flat until the day I signed up for Klout. The day I signed up for Klout the graphs skyrocket. I do think it is related to me signing up for their website. I do not think Klout is accurate but I do think employees are looking at it. You can go to this website and sign up to find your Klout Score. You can also read Mark’s new book all about Klout scores if you are really curious about the way it works. If you think the Klout score is accurate or have more information to share with me please comment because I am not a believer yet. I found this funny meme on Mashable.com.